The Vickery Resort team is glad that you and your family have decided to stay with us during your trip to the scenic Ozarks. We look forward to showing you the best of Branson’s hospitality, and we’re eager to show you everything Table Rock Lake has to offer in terms of relaxation and recreation. A lakeside vacation wouldn’t be the same without plenty of fishing, and Vickery Resort makes catching your fill easy. We encourage our guests to bring along their boats when they stay with us – however, we also offer 11x30 slips, pontoon, bait and ice for sale for your convenience. You may also reach out to the State Park marina to ask about their selection of skiing and fishing rentals. Re-constructed in 2007, Vickery Resort offers all the amenities you and your family could ever want in a vacation rental. Relax and enjoy the breeze as you listen to the waves of Table Rock Lake lap gently against the shore, or go snorkeling, parasailing, or scuba diving – our guests enjoy the best of both leisure and recreation. Vickery Resort is Lake Front! 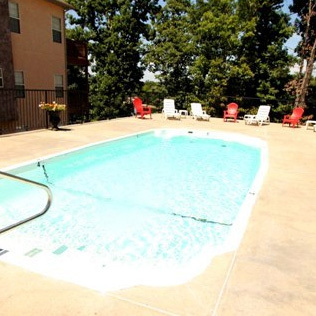 Our luxurious condos are located right on this fabulous Branson recreation destination! 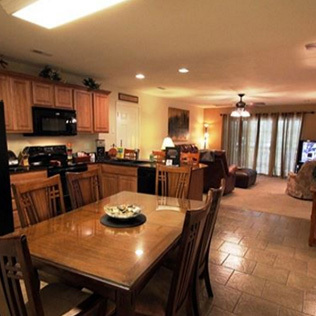 If your family is looking for the perfect “vacation station”, don’t make plans until you’ve seen our Table Rock Lake front condos. Vickery Resort is also the perfect place for your Branson family reunion. Offering a safe, family friendly environment so your family can relax and catch up, yet close to Branson and all the attractions. Relax and rejuvenate in scenic, yet affordable lakefront lodgings in the heart of the Ozark Mountains. For more than 50 years, Vickery Resort has offered travelers the best of both civilization and the great outdoors. Enjoy popular Branson attractions, including dining and historical sites, or venture into the local woods and lakes to discover Table Rock Lake’s breathtaking landscapes. Situated adjacent to State Park marina, our resort offers travelers a different vacation experience. Come home to one of Vickery Resort’s 1,400 square-foot condominiums. After a long day of swimming, hiking, and eating, you’ll enjoy access to all-new, all-modern furnishings. 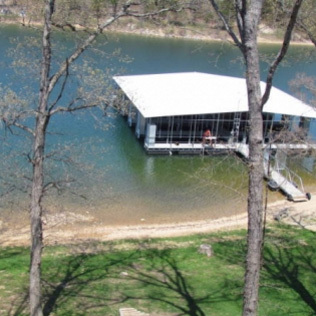 Each of our lakefront rentals features a master bedroom overlooking Table Rock Lake, as well as a large private deck. You and your loved ones will find everything you need in your cozy condo. High-speed internet, a full kitchen, and Jacuzzi tubs await anyone searching for that home-away-from-home experience. Are you looking for accommodations near Branson, but prefer something a little quieter? 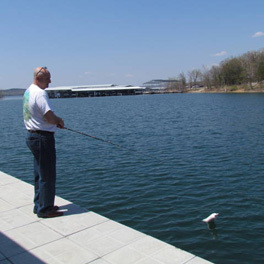 Escape the hustle and bustle of the city by booking lodgings next to the serene Table Rock Lake. Our resort is home to a private boat dock, kids’ playground, and numerous horseshoe pits. Relax as much as you like without worrying about being disturbed by urban sights and sounds.